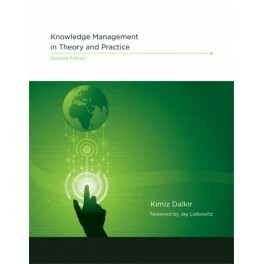 ""Knowledge Management in Theory and Practice provides an extensive and highly valuable compendium and guide for KM practitioners and educators, and for business managers as well. Since the first edition of this book, many organizations have adopted KM methods and gained experience with approaches that work -- and with those that don't. Dalkir shows convincingly why KM must be multidisciplinary and how it strengthens strategic and operational management when it builds bridges between technology and the social, intangible features of organizations. This is an ideal graduate textbook."" Karl M. Wiig , Chairman and CEO, Knowledge Research Institute, Inc.